It has crossed all of our minds. 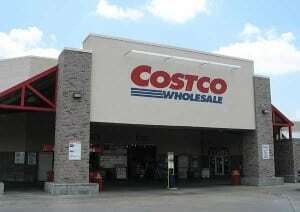 Should we join a wholesale club, like Costco, BJ’s or Sam’s Club? We’ve heard the pros, and the cons, but the only way to decide is for you to ask yourself a few questions, and do what is best for YOU! What are their coupon policies? All three stores have different policies. Just because they are similar stores, doesn’t mean that you’ll have the same couponing success. Some only accept store coupons from their monthly coupon book. Other’s will allow you to bring in Manufacturers coupons. Think carefully on this one when reading the next few questions. If it’s a $50 annual fee, and you only go twice a year….is it really worth it? Check out the wholesale club’s brand availability. Many of the wholesale clubs have some brand loyalties. Make sure they are the brands you are also loyal to. How terrible would it be to spend that annual fee, only to find out that they don’t carry the products that you like. Look into their rewards programs. All three of the wholesale clubs listed above have rewards programs. Do your research and find out if these will benefit you. Check into their “non” member perks. By law, the wholesale clubs have to offer some services to non-members. After looking into this, I found that the pharmacies are the most popular. Wholesale clubs offer great discounts for members and non-members. Don’t forget to look into those non-food items. Wholesalers are a FANTASTIC place to buy high quality electronics, household goods, clothes, and even music and books. I spent some time actually comparing the prices, and was very impressed to find several items for 40% less than I could find them out in town. But remember, consider what you’d be buying. If you know these items are a regular purchase, this may be a great deal for you! Consider the location of the store. How far do you have to drive to reach the wholesale club? Is it still worth the savings if you consider the cost of gas, into the equation? Is it someplace you’re willing to take the time to drive to? If you are truly considering signing up, go talk to the customer service counter and ask for a day pass. Be pleasant and let them know you are truly considering their club, but would like to see what they have to offer. They are usually happy to offer the pass. Like I said above, signing up with a wholesale club is based around what works best for you. Take the time to weigh the pro’s and con’s, and make an informed decision.